In this revision, off the record, juveniles are labeled as “offenders”,rather than “healthy and educated” and “justice-involved youth.” This thought might be indisputable knowing that, in 2017 and 2018, enforcement agencies in the U.S. made an estimated 809,700 arrests of persons under age 18, who are mostly with felony charges. How does this happen? It can be for the reason that parents know less about how serious juvenile crimes are. Lack of knowledge as a parent would lead to the imprisonment of your children. We wouldn’t like that to happen, aren’t we? Then, get the ball rolling with these three most common juvenile crimes. Title 18 of the United States Code, Section 844, Subsection e; states that the state doesn’t allow any person, child or adult, to make any fake bomb threats made through any mediums such as e-mails, telephone calls, telegraphs or instruments of interstate or foreign commerce. Punishments to juveniles vary to different jurisdictions. Whether an elementary, middle school or high school student, children who make bomb threats would either face minor or severe legal consequences. Confiscation of driver’s license or learner’s permit, making parents liable for their children’s misbehaviors in civil court or an automatic suspension from a public school are some of the main punishments to juveniles who would start a fake bomb alert. In worse cases, some states would give legal punishments to juveniles just like how the court does to adults, like charging a class B felony crime called threats to bomb and injure properties. This situation depends, however, to the discretion of a prosecutor or a judge. If you suspect your child or another child of making a school bomb threat, consult an experienced criminal lawyer right away. Don’t keep your mouth shut; you know how the technology works well today. Silencing would make things worse. 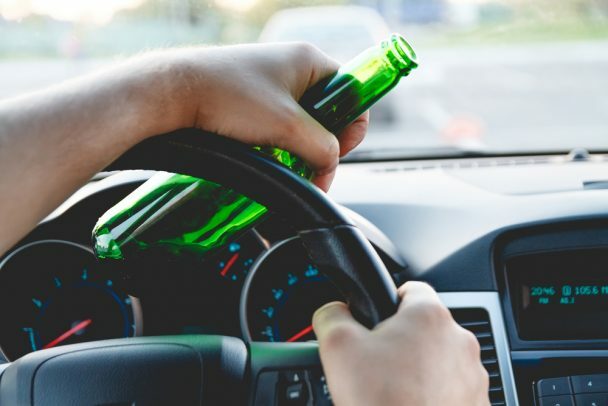 Underage Drunk Driving is like hitting two birds with one stone, however in a negative way. First misbehavior is driving even still a minor, and second is driving while under the influence of either alcohol or drugs. Punishments for underage DUI vary in different states. Nevertheless, mostly, the consequences usually involve fines ranging from $100 to $2,500. The juvenile should also complete 30-60 day community service, and go to drug/alcohol and drivers classes. The court will also impound the car involved and sometimes give probation for 3 to 5 years. In the worst scenario, your child might undergo jail for two days to a year, depending on the damages that occurred because of the case. In all states, possession of illegal substances is a crime, regardless you’re a child or not. In all state and federal law, a person under the age of 18 and is also possessing illegal drugs, will receive a charge of juvenile drug possession and face penalties like drug counseling, probation, diversion, and detention. Not only the juvenile offender would undergo drug counseling but also his/her parents. Drug counseling happens because the juvenile court mainly believes that rehabilitating young people could make a change. When the court decides for probation that typically lasts at least six months or so, a juvenile needs to comply with specific requirements such as attending to school regularly, maintaining a job, participating in a drug or family counseling, doing community services and reporting to a juvenile/court officer. The court can also decide for a diversion, which is typical for first-time offenders. It’s almost similar to probation; however, the juvenile is allowed to do the diversion orders without formally visiting the juvenile court as long as he/she will complete the diversion program. In other cases, the court will order detention. It is common for repeat offender or when a juvenile is involved with a drug possession resulting from crimes like robbery. Detention will commonly order juvenile to be in a detention center, to stay with a foster family or to undergo home confinement. Aside from these three charges, the worst case is when your child is involved in a situation when somebody else is badly hurt or, heaven forbids, another person died. If this happens, call for a legal help right away. If your parent’s instinct would tell you to do things without any professional advice, don’t. As parents, it’s crucial to be aware of what would happen in a Juvenile Court System, however, don’t do things on your own. Leave everything to the lawyer; he/she would try everything to mitigate the penalties.